And we’re off and running, heading into an exciting year ahead. We’re looking forward to the learning and networking opportunities on the schedule, and to hearing about the new adventures in public participation going on around the country! Events: The Call for Submissions is out for the 2018 IAP2 North American Conference in Victoria, Canada; registration is now open, and on the horizon is the Application period for the Core Values Awards! Our Webinar On-Deck looks at ways of handling things when people get downright nasty in a P2 process; and we have two Webinar Rewinds: Dr Martin Carcasson’s “Denver Encore - Beginning With the Brain in Mind” (December 2017) and a panel discussion on the latest in Digital Engagement (January). Interesting Links: “Futurism” magazine has a piece on the need for “Civic Social Networks” to enable engagement, and if you want your kids to have long life, get them involved in civic issues! Meet the new IAP2 USA Board! IAP2 USA & IAP2 Canada are now looking for proposals for session presentations for the 2018 IAP2 North American Conference, September 5 - 7 in Victoria BC. This is an opportunity to explore the theme, Growing a Culture of P2, with content focusing on topics that Innovate, Inspire, Include, Influence, and Imagine! 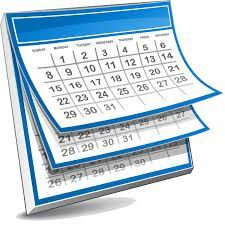 Please review the Call for Session Proposals first as it contains information on what the Program Committee is looking for and tips on what to include in your Session Proposal Application. Registration is now open for the Conference, and if you register on or before June 30, you’ll save with the early-bird rates! For that, you’ll get the Welcome reception, all sessions, Continental breakfast and lunch, and of course, the Core Values Awards Gala on Thursday, Sept. 6. There are also pre-Conference workshops and field trips. Perhaps more important, don’t delay in booking your room! Hotel rooms in Victoria can fill up quickly, so check out the Conference web page for details on our three host hotels: the Coast Victoria Hotel & Marina, Marriott Victoria Inner Harbour and the DoubleTree by Hilton Hotel and Suites. Each is offering a special Conference rate, if you book by August 10. AND SPEAKING OF THE CORE VALUES AWARDS GALA … How would you like to be the applaudee rather than the applauder? It could be you, coming onstage at the Gala in Victoria! Applications for this year’s IAP2 USA Core Values Awards will open soon, so watch your email inboxes for the announcement. In the meantime, whet your appetite by reading up on the Core Values Awards, what they are and who’s won in the past! 2018 Skills Symposium: More spaces still available! Do you run into difficult situations in your P2 processes and feel like you’re out of your depth? 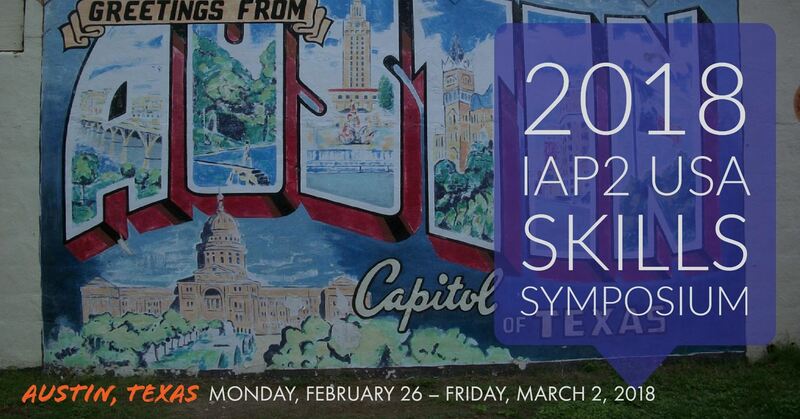 The 2018 IAP2 USA Skills Symposium -- Feb. 26 - March 2 in Austin, TX -- has courses to give you what you need. 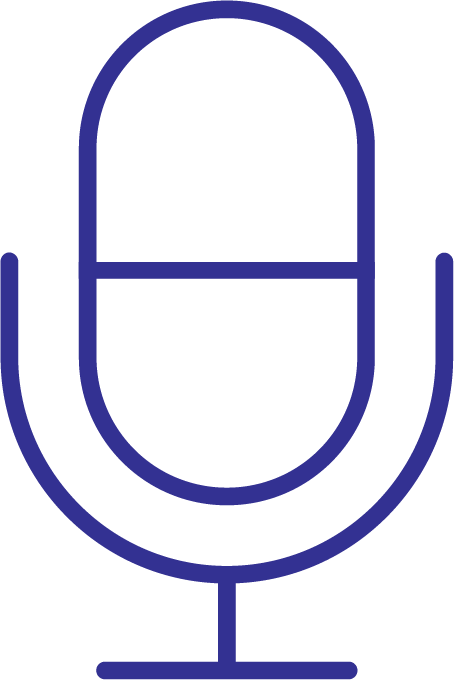 When Things Go Sideways is a one-day course to help uncover the drivers of emotion and outrage in a P2 process and give you a chance to practice highly effective, collaborative strategies to create an atmosphere for constructive engagement. Toolz for Tough Conversations looks at the physiological and habitual reactions to conflict so you can identify conflict alternatives and make sure people stay focused on the critical issues that have to be addressed. Strategies for Dealing with Opposition and Outrage in P2 is an IAP2 “flagship” course. Over two days, you’ll learn about human behavior and anger and how to adjust best practices to suit outrage-charged situations. You’ll learn how both to plan for outrage and respond to situations in the moment. As digital engagement becomes an essential part of the P2 fabric, Social Media and P2 looks both at what works, and what’s proven not to work over the past few years’ experience. And with different people with different points of view and different experiences become part of the engagement picture, Designing for Diversity will help you connect with more people and bring them to the table. Dr Martin Carcasson with the Center for Public Deliberation at Colorado State University says finding a solution begins with understanding the root of the problem – the “brain science” behind polarization – the December webinar was an encore of his presentation at the 2017 IAP2 North American Conference, “Beginning With The Brain In Mind”. We always like to kick off the New Year with a look at the latest in digital engagement, and in January, we brought back together the members of the pre-conference DE workshop at the 2017 IAP2 North American Conference in Denver. Dave Biggs (MetroQuest), Charles Connell (Social Pinpoint), Matt Crozier (Bang the Table) and Joseph Thornley (76engage) held a panel discussion, with over 100 people -- a sellout crowd! -- joining in. "How to Handle Anger & Outrage"
The Great Divide. "Echo Chambers". Thinking in silos. Mistrust of authority. It all comes with the territory for a P2 practitioner, and requires a special kind of approach, especially when these conditions manifest themselves unexpectedly. Any P2 process expects and encourages various points of view, so how do you deal with strong opposition and entrenched positions? Master Certified P2 Professional (MCP3) John Godec has many years of experience in dealing with such situations and has taken a deep dive into some of the psychology behind people's attitudes. Join us for this webinar, where John will share what he's learned. You'll be encouraged to bring your experiences, lessons, and insights so be prepared. Join Midwest Chapter members and friends from around the region for great professional development, networking, and learning opportunities. We’ll kick off with a Thursday evening social, then a busy Friday: concurrent morning sessions, our Chapter Annual meeting over lunch, more learning sessions in the afternoon. The call for session proposals and sponsorship opportunities is now open. Please submit your session proposals by February 13 to midwest@iap2usa.org. We're looking for 50 or 100-minute sessions focused on topics of particular interest to Midwest P2 practitioners. Sponsored by IAP2 USA Midwest Chapter in partnership with the American Planning Association. From Social Work Helper, a study suggests that teens who are involved in civic engagement tend to thrive in later life. Ipsos survey on municipal consultations in Canada. 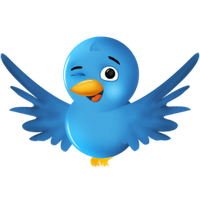 Quoteable Quotes: The things P2-ers say! Pithy and pleasing P2 platitudes... have you heard or thought of any "bons mots" to share with your colleagues? Send them to us here! May 08, 2018 - IAP2 Monthly Webinar: Denver Encore: "Our Community Could Blow Up. Do We Have Time For Some Quick Consultation?"